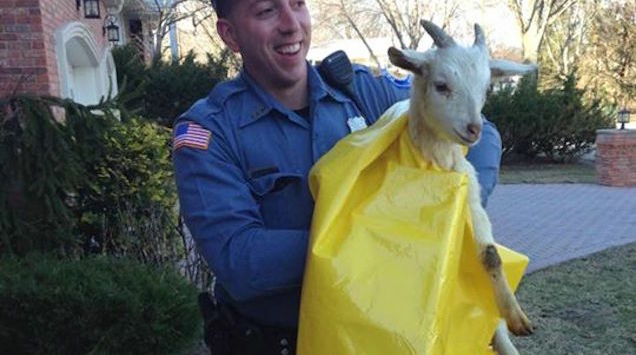 Paramus cops say they "responded to calls of a disorderly goat headbutting a door in the Beech Lane area of town" on Sunday morning. According to the police report, the smirking ball of fur attempted to flee but eventually got picked up "running in the roadway." He remains in custody, both with animal control and on my computer as a screensaver.